For 17 years, Cambodia has benefited from preferential access to the European Union, its biggest trading partner, under a program called Everything but Arms, which allows what the bloc calls “vulnerable developing countries” to pay fewer or no duties on all their exports to the bloc, except weapons and ammunition. The trading deal has contributed to a period of rapid economic growth in Cambodia. The government of Prime Minister Hun Sen has dissolved the main opposition party, the Cambodia National Rescue Party, and jailed and then released the party’s leader, Kem Sokha, causing other party members to flee overseas. 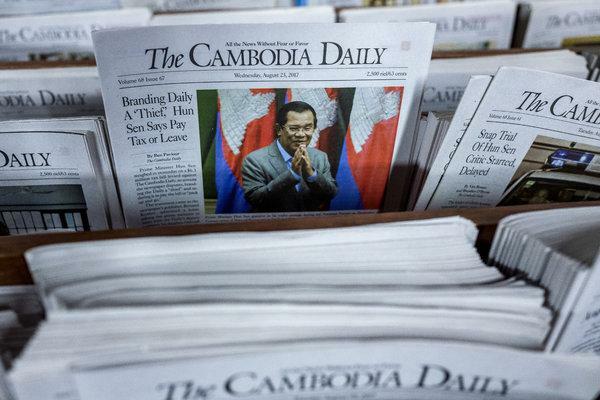 The authorities have also cracked down on independent news media, most notably with the forced closing ofThe Cambodia Daily; harassed local rights defenders and land activists; and curtailed rights to free expression and assembly. Previous PostPrevious DealBook Special: Everything You Need to Know About the Lyft I.P.O.